The €500 million incinerator will process over 550,000 tonnes of waste each year. PLANS FOR THE Poolbeg incinerator look set to go ahead after a recommendation from Dublin City Council management. Dublin City’s Chief Executive, Owen Keegan, told councillors in a report that the waste project is needed and makes commercial sense. Over €100 million has already been spent on the project by the four Dublin local authorities - that money will be lost unless it goes ahead. The €500 million development could now start before the end of the year. While Green Party councillor, Claire Byrne, said: “If the incinerator goes ahead, it will change the landscape of sustainable waste management in the city for decades to come. “The use of the Poolbeg site will means that we never be able to develop that part of Dublin, and Ringsend will continue to be seen as the capital’s dumping ground. “It will inevitably be Dublin’s residents who will have to pay for this mistake, both in economic and environmental terms. This project really is a disaster for Dubliners. After all the progress that has been made in recent years in terms of waste management, we’re throwing it all away in the pursuit of a hugely expensive solution that we simply don’t need. The plan will most likely be opposed by city councillors at a special meeting next Monday but they can’t stop the incinerator from being built as the final decision lies with Owen Keegan. The facility will be a combined heat and power system that uses municipal solid waste as fuel to generate electricity. It is expected it would process some 550,000 tonnes of waste each year. Email “Poolbeg incinerator is set to go ahead”. 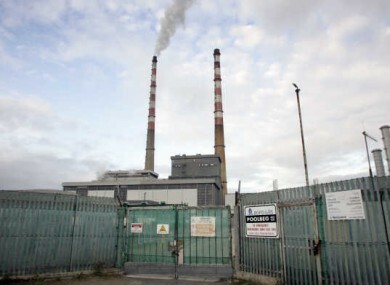 Feedback on “Poolbeg incinerator is set to go ahead”.